Bungie just might be looking to bring Destiny to the PC in the near future. A job opportunity opened up on their website for a PC compatibility tester. 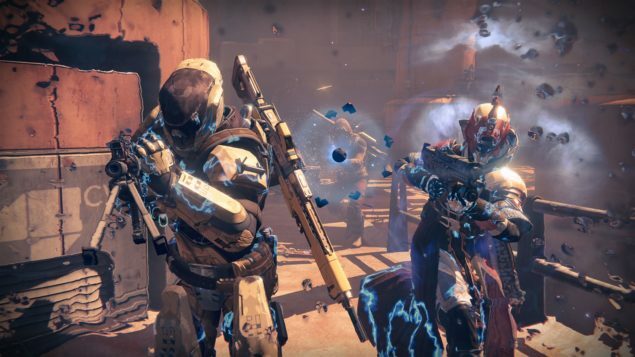 Much later now, could Destiny find a home on the PC? Normally this could be taken as just a company with turn-over looking to fill a position. This is far more significant due to the platform they currently develop for and the only game they’re supporting. Destiny has seen a mixed reaction that seems to surge from either loving it completely or hating it with a passion. The lack of a PC version for what is certainly well suited for the platform was not taken kindly. But now it appears that they are doing one of two things; either looking to finally bring Destiny over to the PC, or they’re looking to get into PC development with something completely new. They would be remiss to completely ignore their PC roots, and in this case the large scale MMO of Destiny could potentially thrive quite well if given enough care. But more than that, it might be possible for Bungie to be looking to take advantage of the significance of remastering older titles. They don’t have quite the past catalogue that he likes of Rare or others have, but if they could secure the rights to Oni or even Myth once again, the seminal titles of the burgeoning company, that too might do well. Though remasters seem to also garner mixed reactions, it’s sometimes nice to at least have older games playable on new hardware and operating systems regardless of whether they’re completely remastered. But would Destiny be too little too late by coming to the PC? Would even an expanded game with much more content to take advantage of the power (and storage) of the PC be enough to revive a controversial franchise?